After my success with my nutrition for Ironman Austria I had a few people interested in metabolic efficiency and lots of you asked me the same question: 'What do you eat?'. I asked myself that same question when I started ME, it didn't take long before I had developed my own set of recipes and snacks. If you don't know what metabolic efficiency is, here we go again: ME is a concept developed by American dietitian Bob Seebohar. With ME your goal is to manipulate your daily nutrition with the aim of maintaining low blood sugar levels and reducing insulin spikes, thus making your body more efficient at burning its own fat stores and as a result allows athletes to have a reduced need to take in calories during training and racing. The possible benefits are: lower risk of GI distress when racing and training, low risk of bonking or hitting the wall, leaner body, better management of hunger and cravings. Counting calories and weighing your plates are not necessary. In 'Nutrition Periodizationfor Athletes', Seebohar explains in simple terms how to achieve metabolic efficiency. Get yourself a copy. What I intend to do is to write some recipes I have been using regularly over the coming weeks to help those of you who are unsure about what to eat. My first recipes is my own creation. 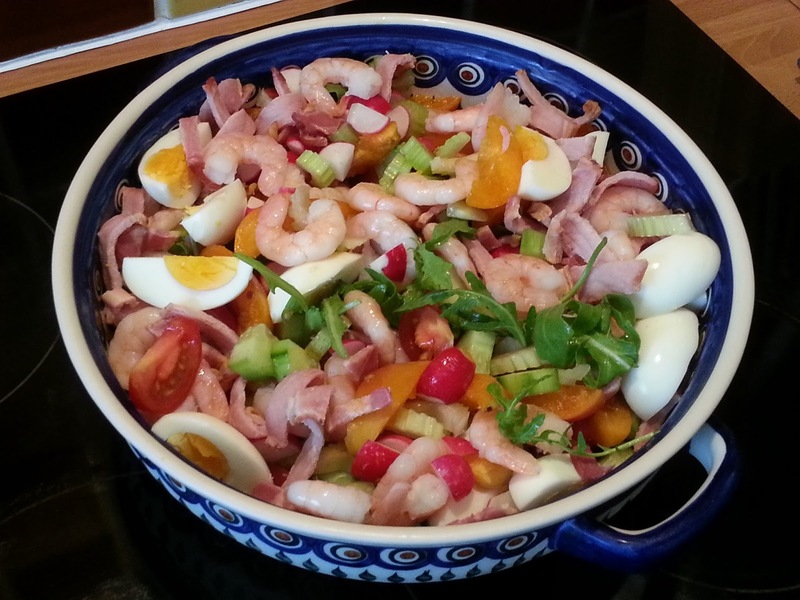 With the great weather we've been enjoying in the UK over the past few weeks I thought this salad would be a great start. Mix all the ingredients in a salad bowl and season with lots of extra virgin olive oil, salt&pepper and balsamic vinegar. Enjoy! You can follow the blog to get further recipes in your inbox.